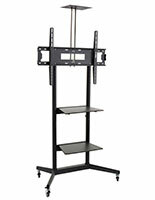 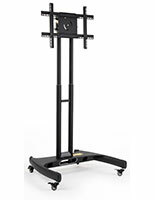 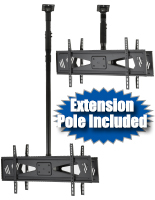 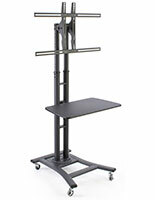 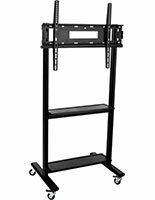 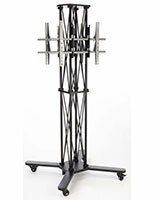 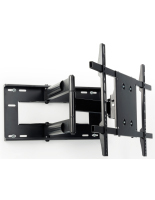 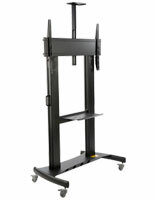 Mounting brackets for 48" to 64" flat panel TVs come in many styles for the professional. 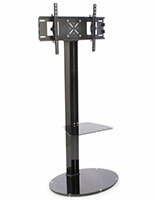 While we do sell residential-style models, our aim is to sell to businesses with commercial applications. 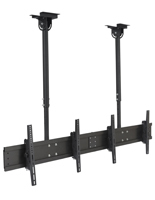 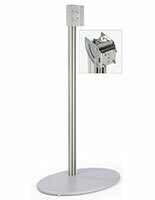 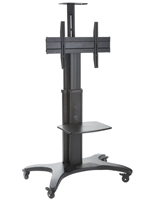 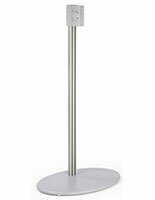 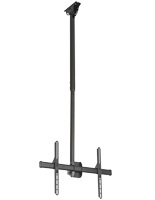 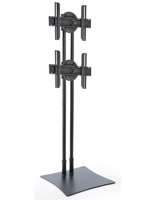 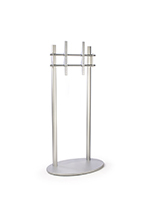 Designed for the corporate office, sales floor, or trade show booth, these universal TV mounts support monitors on the larger end of the size spectrum. 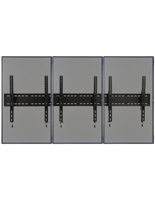 Our offerings are available in the three main categories: floor-standing, suspended ceiling, and wall mounting. 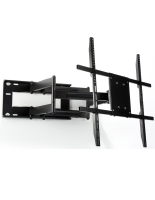 All models feature brackets with regulated VESA hole patterns that are designed to match the mounting holes provided by all TV manufacturers. 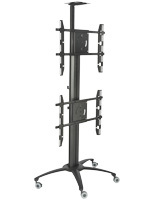 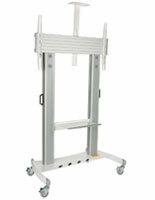 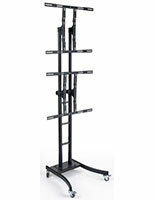 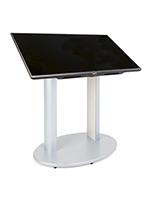 When choosing a TV display for the floor, you must decide if the stand needs to be mobile. 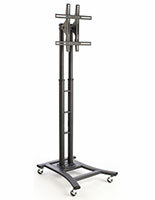 A stand with a flat base tends to stay where it gets placed, and moving can be a difficult proposition especially with a heavy 200 lb. 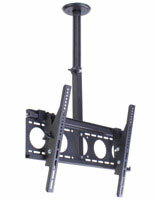 TV attached to it. 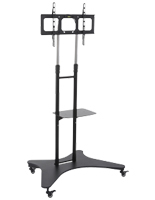 Rolling casters are the answer for most people because it offers the ability to push the stand from room to room or simply push it out of the way. 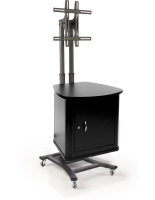 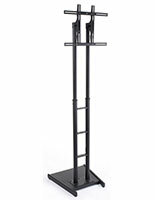 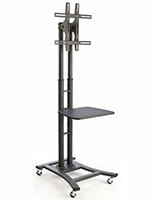 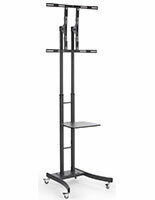 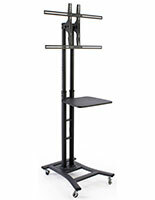 The floor stand options are many, with some styles featuring height extensions, tilt adjustments, and shelving. 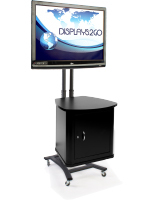 What if your display needs to be transportable, as in the case of using it at a trade show? 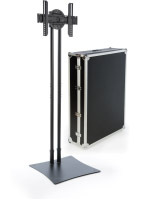 Stands with knockdown designs are the answer and it's critical they come complete with their own travel case. 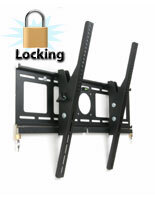 This lets you ship the hardware to your location in advance, for setting up later. 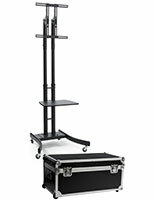 Hassle-free staging at the site also saves a lot of time with select models that feature tool-less assembly. 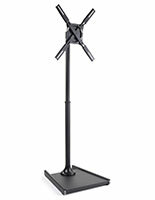 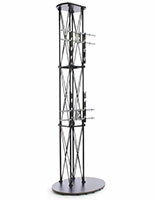 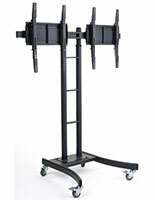 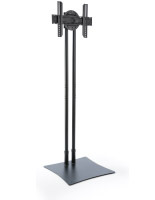 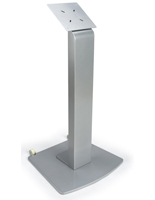 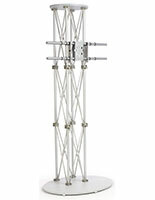 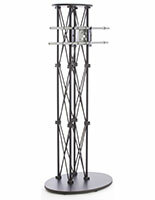 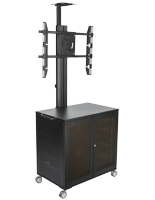 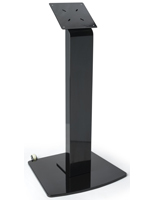 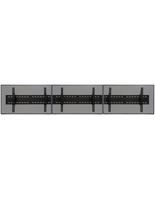 MonitorStandsNow stocks many other mounting solutions, including wall and ceiling brackets. 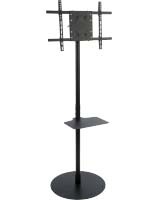 Locations that normally suspend TVs from the ceiling, like airports, retail stores, and bars, take advantage of this particular style in order to reach a large number of people without the TVs getting in the way. 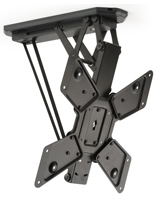 Ceiling fixtures also tilt and rotate, providing a lot of viewing angle options for difficult mounting spaces like the corners in rooms. 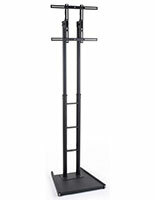 Wall mount brackets come in many fixed styles, but for those requiring more adjustability may we suggest a mount with articulating arms. 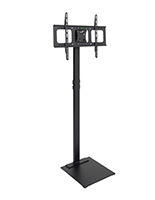 Able to extend off the wall, tilt, and pan, these monitor fixtures offer almost every type of feature while saving floor space.